The American Team Type 1 has confirmed a lineup of twenty riders for the upcoming season, and plans to compete early on in French and Italian races before then chasing rides in some high level UCI events. The squad, which was set up to draw attention to Type 1 diabetes and which includes five riders on its roster with the disease, has ten new signings thus far. They are the strong time trialist Laszlo Bodrogi (France), past Tour de France stage winner Rubens Bertogliati (Switzerland), the 2007 Settimana Ciclistica Lombarda victor Alexander Efimkin (Russia), Australian rider Ben King, Spaniard Ivan Melero Coco, the American Kiel Reijnen, Italians Daniele Callegarin and Alessandro Bazzana plus the Slovenian rider Jure Kocjan. In recent days it also confirmed to VeloNation that it is vying to sign the talented Eritrean Daniel Teklehaymanot to the team. He had a stagiaire slot with the Cervélo Test team this year but was left sidelined when the team finished up unexpectedly. He highlighted his determination in taking five victories in 15 days in November, winning the team time trial, the individual time trial and the road race at the African cycling championships, then taking stage one plus the overall classification in the Tour of Rwanda. That signing depends on the UCI, which needs to approve his move to team at a point in the season when the listing would normally be completed. Director Sportif Vassili Davidenko is hoping he will come on board. Either way, the team has a much bigger schedule planned for 2011 than before. “The early race programme should emerge in January, but we are targeting early-season French and Italian races and will show up at some of the biggest and best top-level UCI events in 2011, he told VeloNation. The new team kit is very different to the 2010 version, which was primarily green and purple. 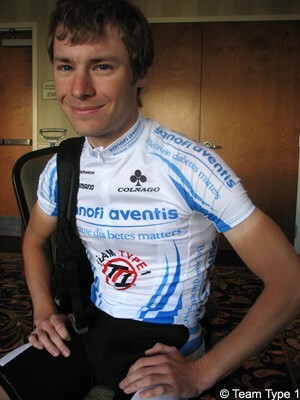 The 2011 edition is blue and white, and should look well in the international peloton. It is made by De Marchi, and company owner Mauro Coccia was at the recent team training camp in Athens to take custom measurements for all of the riders. 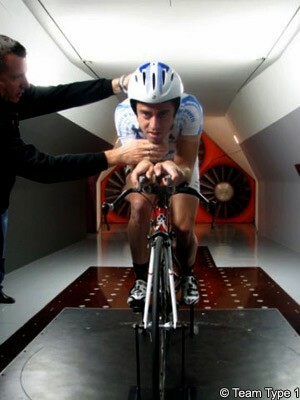 He use these measurements to supply each of those on the team with a full range of clothing.